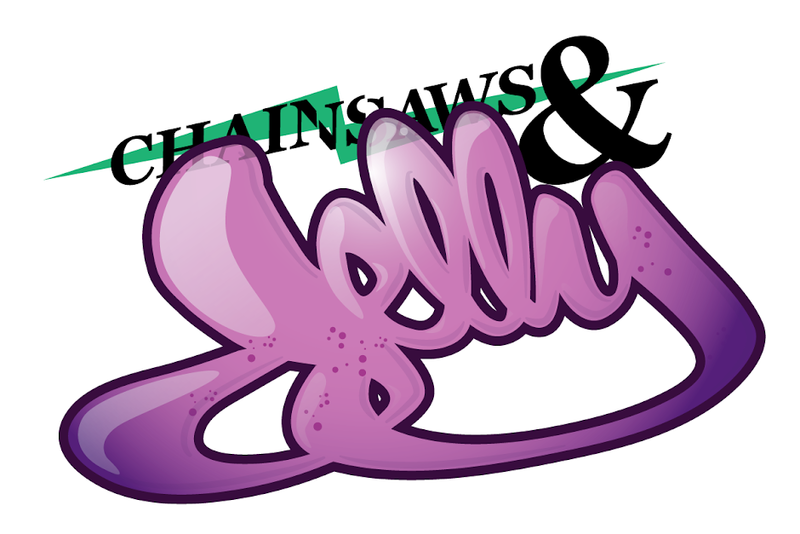 Chainsaws and Jelly is proud to share with you another ill-download! About iB4the1.1: iB4the1 is an epic. 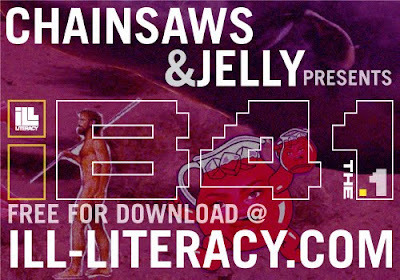 The debut album from iLL-Literacy premiers in three parts– each approximately 25 minutes in length, and suited best for a short car drive…or upon the back of a spiny-toothed wombat in Africa, while watching Planet Earth on mute. The first of the three acts is simply entitled iB4the1.1. Despite its brevity,.1 is grand in its effort to bridge sampled voice and original instrumentation, experimental music and hip-hop narrative. 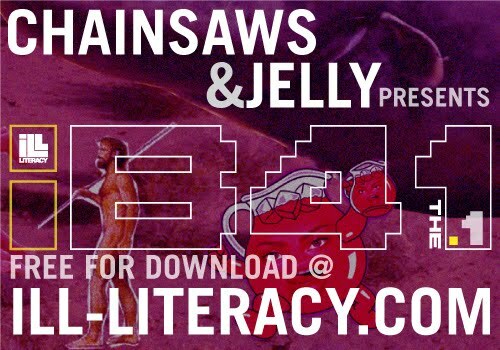 The sound of iLL-Literacy—architected by group member Dahlak with the assistance of producer Ada Clock, along with the contributing imaginations of N.I.C and Drizzletron—draws character from an unusual blend of influences, spanning funk, afro beat, alternative, soul and of course hip-hop. iB4the1 is a presentation of iLL-Literacy in total humility and acknowledgement to all those who have come before and to the artists they are to become. This is iLL-Lit before the start. The prequel to the saga. iLL-Lit before the One. Take that how you want.